Kendrick Lamar and Travis Scott linked up at the 'DAMN' star's show. 21. 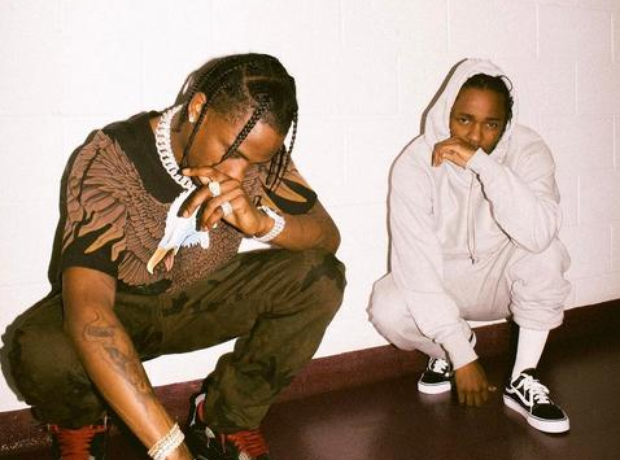 Kendrick Lamar and Travis Scott linked up at the 'DAMN' star's show.